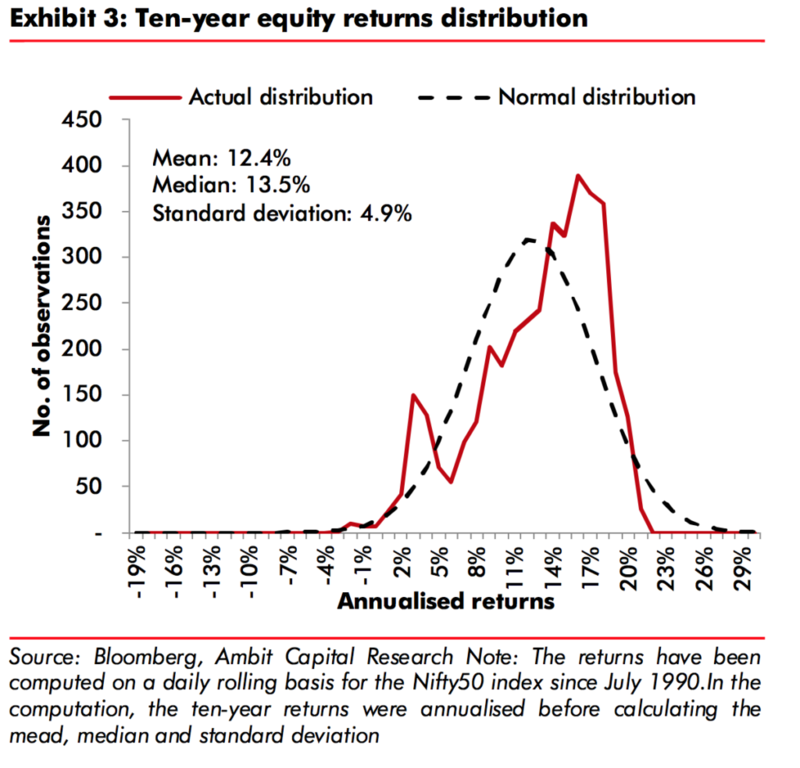 How long is “long term” in Indian Equities? Many markets participants talk about how equities outperform all asset classes over the long term. But everyone’s time horizon and definition of long term is different. 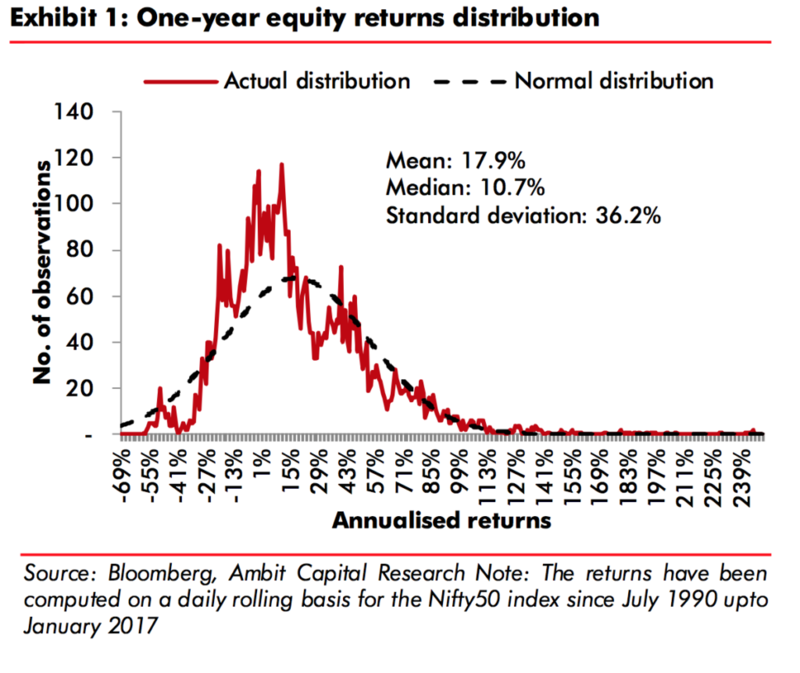 We look at another great strategy report by Ambit Capital that tries to answer the question of long you should stay invested to get that “free lunch” in Indian equities. Equities as an asset class tends to be very volatile when measured on the basis of a few months or even for one or two years. 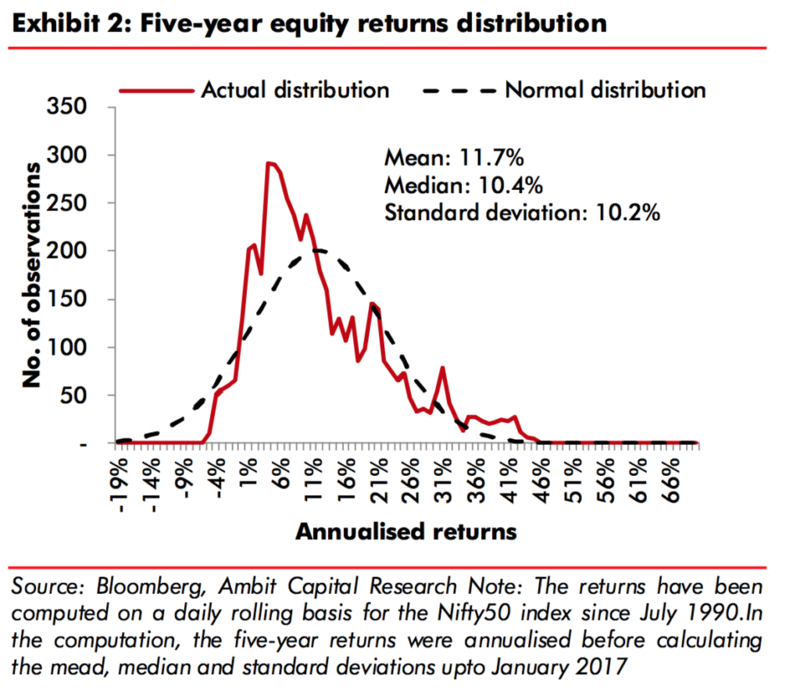 The Ambit report looked at the distribution of returns of the Nifty 50 index over periods of 1, 5, 10 and 15 year horizons. As can be seen in the charts above, returns in the one year can go into negative territory and are “skewed to the left”. What this implies is that there is a higher chance of making low or negative returns. On the plus side as the time horizon becomes longer, the curve starts to move to the right. This suggests that the odds are loaded in favour of the long-term investor. Not only that, but once the holding period exceeds five years, median returns start to increase whilst risk starts to decrease! 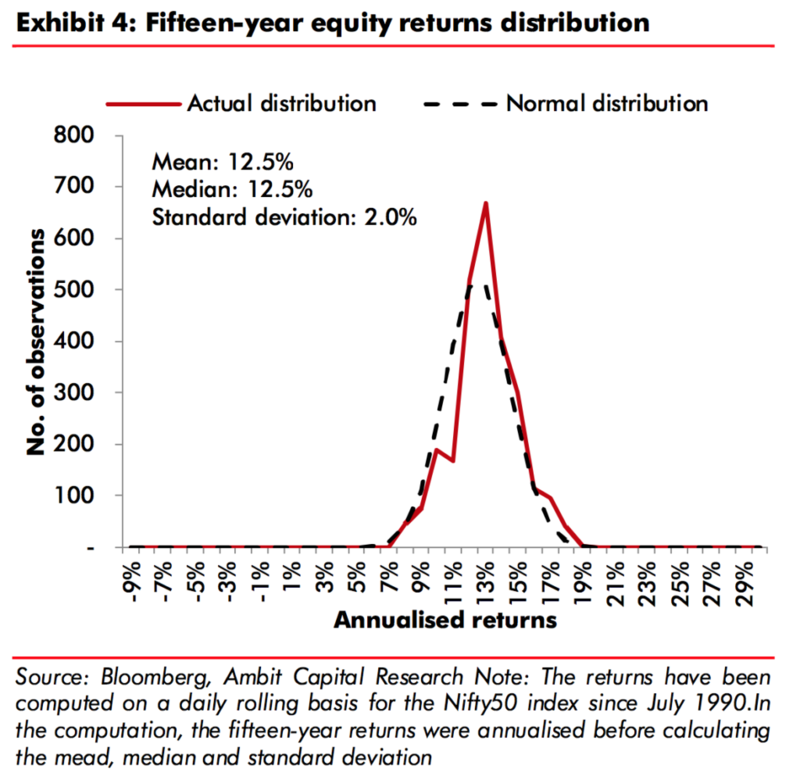 We can see this in the charts: Median returns on a 1 vs. 10 year period are 10.7 vs 13.5 per cent whilst at the same time, standard deviation drops from 36.2 to 4.9 per cent. This is truly astounding. The report concludes that the ideal recipe is for investors to invest in high quality stocks for periods of 10 years or more. Kindly note that this is not an endorsement by us on stocks or themes mentioned in the report. 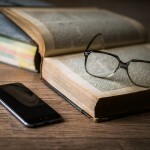 Past returns are not an indicator of future performance. All the information is for educational and informational purposes only. Please consult a qualified financial advisor prior to making any investment decisions.